Surfgimp’s first annual Winter Bash event was a success. Here, Surfgimp supporters pose for a photo at the event. Attendees of the Winter Bash, which took place at the Rusty Rudder, were able to enjoy a buffet dinner, open bar and live music from Zion Reggae Band and Bryen O’Boyle of Mr. Greengenes. A silent auction and live auction included more than 90 items donated by the local business community, as well as some not-so-local businesses. During the event, foundation President Melanie Liesener announced that $35,000 in grants had been awarded to eight recipients for 2019. She noted that awardees were both local and from other parts of the country, and ranged in age from 4 to 64. The 2019 grants will fund a variety of adventures, including travel, enjoying the healing ocean, surfing for pleasure or for competition and lessons to try new recreation pursuits, as well as adaptive equipment, including an adapted bicycle and an all-terrain wheelchair. Although their disabilities impacted them in a variety of different ways, Liesener said what all the grant recipients had in common was their desire to break down barriers and expand their ability to participate in physical activities. “Surfgimp Foundation gives these awards in the spirit of Jay Liesener, who wanted others with disabilities to share in his good fortune to be able to travel and surf and pursue their dreams. In 2018, we awarded two grants; in 2019 we are awarding eight. We hope in 2020 to do more,” said Liesener, adding that proceeds from the Winter Bash, and future events, would go toward grants in the years to come. 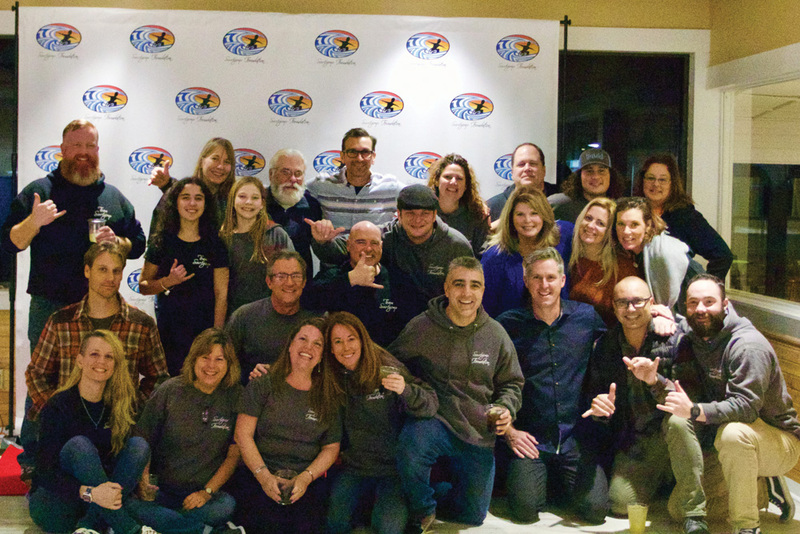 The date for the second annual Winter Bash has been set for Saturday, Jan. 18, 2020, at the Rusty Rudder, 113 Dickinson Street, Dewey Beach. The Surfgimp Foundation was established in November 2017, inspired by Jay Liesener, quadriplegic and self-proclaimed “Surfgimp.” He spent the last 10 years of his life cultivating a team who assisted him in his endeavor to surf. Team Surfgimp comprises many local residents who enabled him to experience the freedom of riding the waves in spite of his significant physical limitations due to his disability. The Surfgimp Foundation, a 501(c)(3) organization, was established to provide grants for people with disabilities who want to experience their dreams the way Jay Liesener was able to experience his.